Effectively responding to disasters requires a team, but not just any team. This team needs to be as diverse, multi-faceted, and as talented as the fabric of America itself. Because of this, FEMA is always looking for opportunities to strengthen the team that prepares for, responds to, and recovers from emergencies. As Administrator Fugate and Mr. Rand said, the partnership between FEMA and AARP is all about building resilience in homes, neighborhoods, and communities around the U.S. That could mean providing information so people understand the disaster risks in their area, ensuring Americans are aware of assistance and services that are available after a disaster, or sharing best practices so people rebuild their homes and communities to make more resilient after a disaster strikes. I hope the partnership inspires you to take action to make your family, home, business, or neighborhood better prepared for a disaster. Since we’re in the peak of the Atlantic hurricane season, now is a great time to review your family’s emergency plan and ensure your emergency supply kit is stocked and ready, just in case. In addition to FEMA’s Ready.gov/hurricanes page, another great place for information on preparing for hurricanes or tropical storms is the AARP “Operation Hurricane Prepare”. It has a handy checklist and videos that put preparedness actions at the forefront. Finally, check out the the AARP blog for their take on the partnership and details on how AARP members are already lending a helping hand in disaster response. One way is through Createthegood.org, which pulls together volunteering opportunities and stories on how volunteering is making a positive impact in communities around the country. 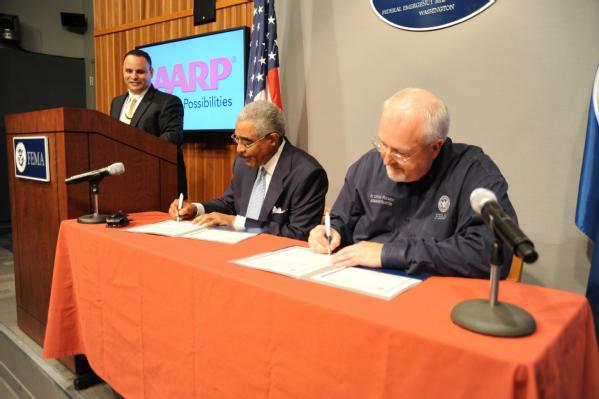 Partnerships are so critical to emergency management – I’m glad to welcome AARP as FEMA’s newest formal partner! Here are a few of our favorite photos from the past week. Check out our Photo Library for more. According to the National Weather Service, it doesn’t appear there will be any severe weather threats this weekend. While there aren’t any significant weather threats at this time, weather conditions can change rapidly. We encourage everyone to monitor their local weather conditions online at www.weather.gov or on their mobile device at http://mobile.weather.gov. While you’re out and about this weekend, take a few moments to make sure your family’s emergency kit is fully stocked as we head into the peak of hurricane season. Last week we saw two Tropical Storms — Dorian in the Caribbean and Flossie in the Pacific. These storms are great reminders that the time to prepare for tropical weather is now. Visit Ready.gov for a list of items that should be in your emergency kit and for safety tips on what to do before, during and after a hurricane. This week the Department of Homeland Security and FEMA, in association with the United States Northern Command and the American Red Cross, hosted the “Building Resilience through Public-Private Partnerships” conference. The conference highlighted successful public-private partnerships, identified coordination gaps between public-private organizations, and engaged both sectors to determine how to further promote teamwork to make our communities and nation more resilient. Now up at #PPPConf, building resilience in academic communities. Panelists from Maryland Univ., Gallaudet Univ., and @fema! Thanks to everyone who was able to participate and follow the discussion online! For more information on how FEMA engages with the Private Sector, visit www.fema.gov/private-sector. 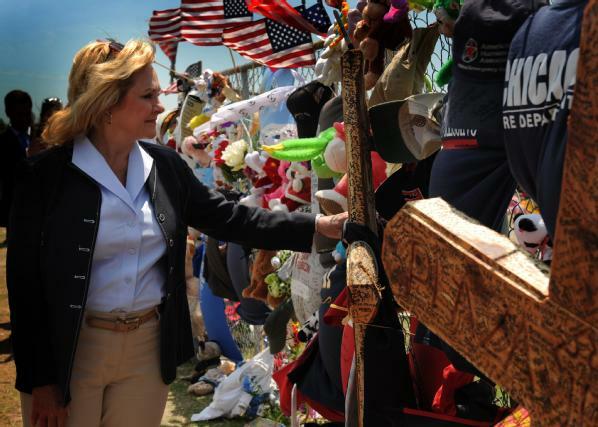 There is no question that April 27, 2011 changed the lives of Alabamians. On that one day, our state experienced more than 60 confirmed tornadoes causing widespread devastation. Soon after, we decided to do all we could to make our state safer in the future. In the days, weeks and months following the tornadoes, Governor Bentley and I toured the state and heard the personal stories of disaster survivors. Many of them told us how they only had moments to find safety while praying for their lives and the lives of their loved ones. They were the lucky ones that day. No matter how much they had lost, they were grateful to still be here, and live through one of the state’s most devastating disasters. Unfortunately, more than 250 people lost their lives during that 24-hour span of tornadoes. Once my staff and I grasped the sheer magnitude of what had just happened, we all knew we had to do something to prevent this from happening again. 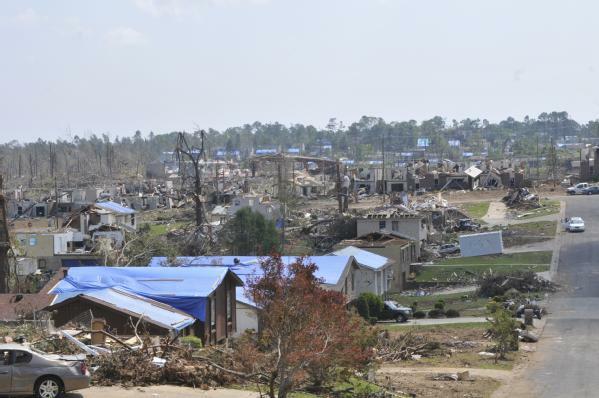 The weeks following the disaster, Governor Bentley made it his priority to utilize a FEMA program known as the Hazard Mitigation Grant Program. 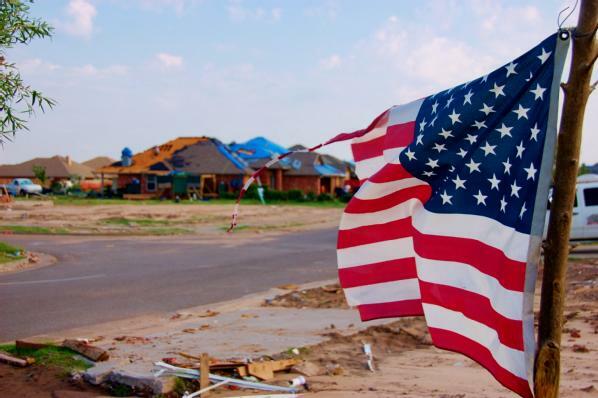 This program is based on a percentage of the federal disaster cost from the tornadoes, with FEMA paying as much as 75 percent of the costs for families and communities to install safe rooms to prevent or minimize the effects of future disasters. Having this program available to us was only one part of the equation; the next part was ensuring the public and community leaders understood how this program would benefit them. 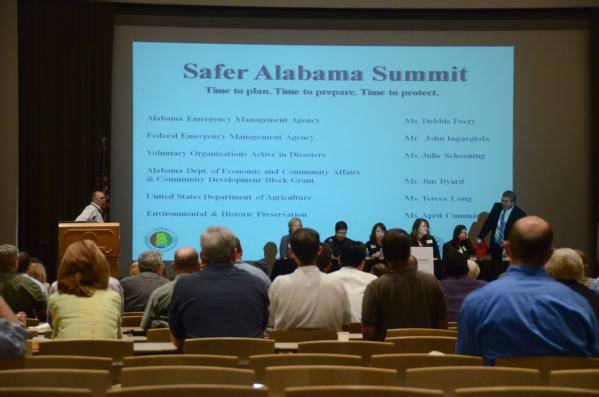 In June 2011, a joint effort with FEMA, private and public sector partners, the Alabama Emergency Management Agency hosted the Safer Alabama Summit. This event discussed future mitigation projects that would help our communities rebuild safer and stronger. After that event, what I call the “real” work began and that included our mitigation staff working with FEMA’s staff and the sub-applicants to receive, process and review more than 4,500 applications for safe rooms. They also processed applications for generators, alert notification systems and the hardening of portions of Druid City Hospital in Tuscaloosa. In just over two years, or 26 months to be exact, I’m proud to say Governor Bentley awarded and the mitigation staff obligated approximately $ 77 million to the great citizens of Alabama. This was unprecedented for our state and, possibly for any state in the U.S. I attribute the success in which we distributed the grant so quickly to the leadership of Governor Bentley and the relationship we have built with our local and federal partners. The way my staff devoted countless hours to working with the necessary parties to get the applications completed showed their unwavering dedication to the people of Alabama, but it also echoed the sentiment of my entire staff—April 27, 2011 is a day we will never forget! Editor’s Note: This blog was originally posted on the White House Blog. Today marks the start of the 2012 Atlantic Hurricane Season. Under the direction of President Obama, FEMA and DHS stand ready to support our state and local partners as the tropics start to produce their annual cyclones, storms, and hurricanes. 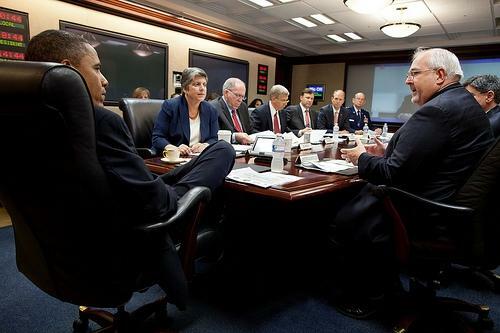 On Wednesday, I joined Homeland Security Secretary Napolitano as well as partners from NOAA, DOE, the Army Corps of Engineers, and representatives from states and the private sector to brief the President on steps FEMA and our partners have already taken to meet the challenges of the 2012 hurricanes season. That briefing underscored the importance of the whole community, from the federal government to individual citizens, working together to get prepared before a potential storm threatens a region, state, or community. Long before the start of this year’s hurricane season, FEMA has worked closely with our partners at the state, local and tribal levels. This includes openly sharing information and expertise that will improve resiliency across our nation, cities, towns, neighborhoods, and families. 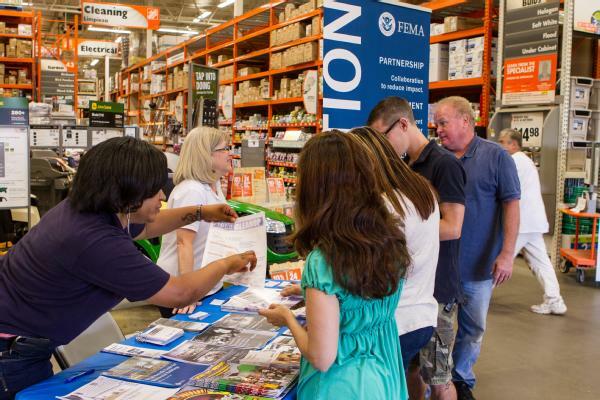 For FEMA, building relationships before a disaster strikes is vital to working closely together during and after an emergency situation. But government doesn’t prepare for and respond to disasters alone. Right alongside are the hundreds of businesses, voluntary agencies, and faith- and community-based organizations who provide vital services to both communities and individuals affected by disasters. Some of these organizations provide for basic needs like food, water, and shelter – while others respond to needs such as financial consulting, animal sheltering, or help processing your insurance claim. Build an emergency supply kit to sustain your family for at least 72 hours. So as we move into the traditional start of the Atlantic hurricane season, I encourage you to respond to the important role you play as part of the emergency management team. You can start with one of the three steps I listed out above, or by pledging to prepare at Ready.gov/hurricanes. In my December blog, I expressed the Obama Administration’s support for amending the Stafford Act to allow federally recognized tribal governments to make a request directly to the President for a federal emergency or major disaster declaration. Under current law, only States, through the Governor, can make such requests. I’ve re-emphasized my support for amending the law by sending letters to Congressional Committee Chairmen to offer FEMA’s support for S. 2283. A change to the Stafford Act would enhance our ability to respond directly to tribal governments’ declaration requests regardless of State or county boundaries or jurisdictions. I’m giving my firm commitment to actively work with Indian Country and Members of Congress to support and facilitate the passage of this legislation. Specifically, the letters I sent today are recommending that Congress take swift action to pass this legislation. If Congress passes and the President signs such legislation into law, my office will act promptly in the development of appropriate regulations and policies for implementation. Through the years, I’m proud of the close working relationships we developed at FEMA with recognized tribal governments across the country, especially as it relates to disaster response, recovery and mitigation activities. Based on these experiences, I’ve seen great success and some challenges. I believe that amending the Stafford Act to allow federally recognized tribal governments to make a request directly to the President for a federal emergency or disaster declaration, will only improve our coordination efforts and build stronger more resilient communities. The U.S. Government has a unique government-to-government relationship with federally recognized tribal governments based on the U.S. Constitution, statutes, regulations, treaties, executive orders, executive memoranda and policies. Amending the law would acknowledge the sovereignty of federally recognized tribes, enhance FEMA’s working relationship with tribal governments, and improve emergency and disaster responsiveness throughout Indian Country. I’m looking forward to the day when the changes I have communicated here are made law and we are better situated to improve our coordination efforts with tribal governments and Indian Country. Visit fema.gov/government/tribal for additional information. We will continue to follow the progress of this legislation closely and I’ll keep you posted on developments. For more tips on staying safe before, during, and after severe weather, check out Ready.gov or FEMA’s mobile site. 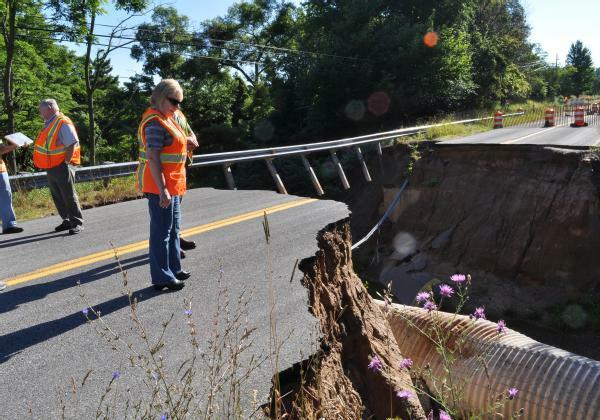 Last week, President Obama declared a major disaster for 11 counties in Illinois, making federal assistance available to individuals and families impacted by the recent flooding and severe storms. We’ve been working hard to encourage impacted residents to apply for assistance. FEMA Disaster Survivor Assistance Teams are in neighborhoods damaged by the storms and floods, going door-to-door letting people know how to apply for assistance and answering any questions about the application process. We’ve also opened several disaster recovery centers in impacted areas. 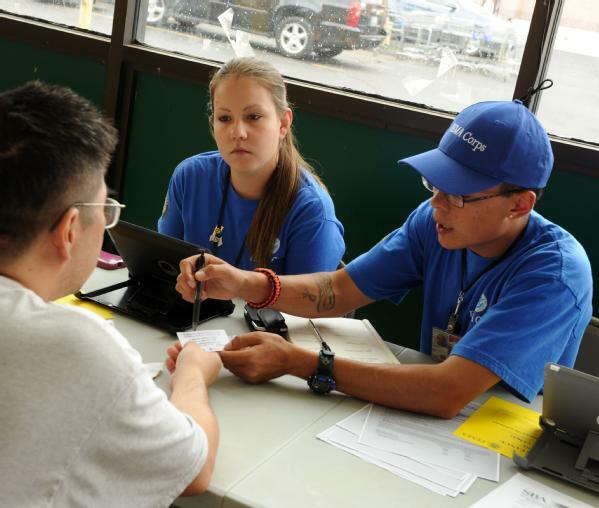 These centers provide a place for people to talk face-to-face with staff from FEMA and our emergency response partners about the assistance that is available. I’m talking about hackers who hack for good! I am very excited that FEMA is one of the 19 government partners for the National Civic Day of Hacking, coming up June 1-2. The event will bring together citizens, software developers, entrepreneurs and government agencies across the nation to solve challenges relevant to America’s neighborhoods, cities, and the country. To give you a scale of the event, there are 87 locations across the U.S. that will participate and work on over 37 data sets and resources. FEMA’s U.S. Fire Administration submitted its own challenge for the event – use our wealth of fire incident data and build an online visualization tool that brings the data to life. Check out the National Civic Day of Hacking website for more info and spread the word about our challenge! 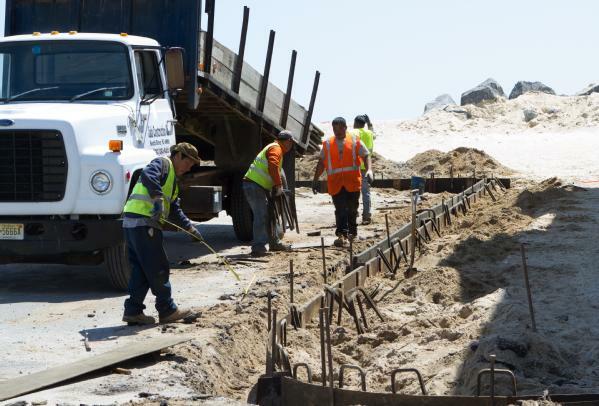 Bay Head, N.J., May 14, 2013 — A construction crew rebuilds one of several concrete walkways for beach access in Bay Head as part of the rebuilding and recovery process following Hurricane Sandy.